Skill Development Department Issued a Advertisement For Recruiting 519 Guest Faculty.All Eligible and Willing applicants Can Check Detailed Advertisement From Their Official Website And Apply Online On Or Before 22nd August 2017.Eligible and Interested Candidates Can Check Detailed Information For Each Postion Such As - Eligibility Criteria, Qualifications, Age Limit, Selection Procedure Before Applying. 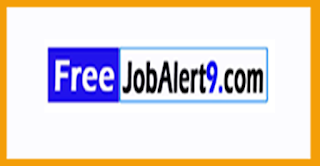 Salary And Grade Pay Scale- INR Rs.7200/- (Resource Person), Rs. 10,000/- (Trade Drawing/Math) . How To Apply - All Eligible candidates may also fill the net application through respectable website http://www.Mpdt.Nic.In.Earlier than or on 22-08-2017. Important Dates - Last Date for Registration of Online Application Form Is: 22-08-2017 . Skill Development Department Recruitment 2017 Advertisement.